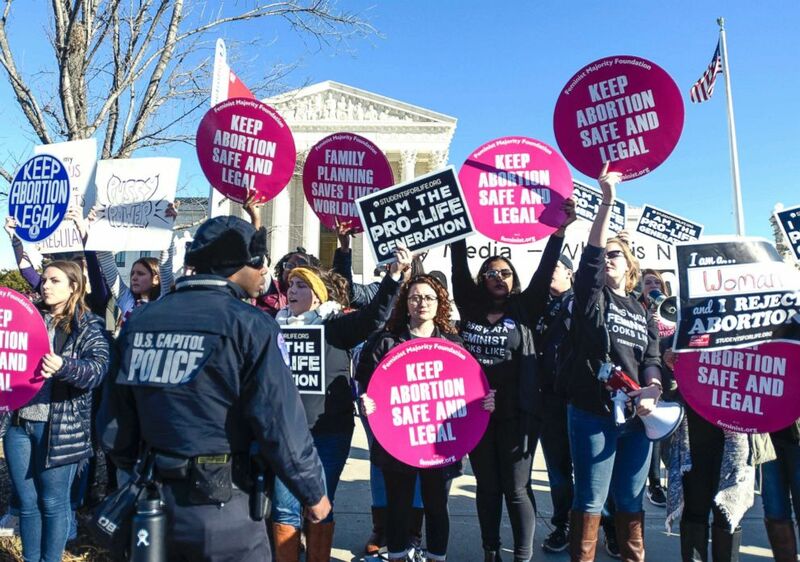 Access to abortions, which the Supreme Court legalized 45 years ago today, is still being fought over, with advocates from either side of the issue arguing for their cause. The landmark Roe v. Wade case was decided on Jan. 22, 1973, with the highest court in the land affirming the right that women have to privacy, as granted by the 14th Amendment, which extends to medical decisions including abortions. Since then, however, numerous laws have been enacted at the state level restricting some access to abortions. "Roe is still the law of the land but because anti-choice politicians have enacted hundreds of laws that restrict access to abortion, the right to get an abortion isn’t a reality for many women," said Jen Dalven, the director of the American Civil Liberty Union's Reproductive Freedom Project. The Guttmacher Institute, a reproductive rights research group that previously operated under Planned Parenthood, notes that 43 states prohibit abortions after a certain point in the pregnancy, typically after a certain number of weeks into the pregnancy ranging from 20 to 24 weeks. 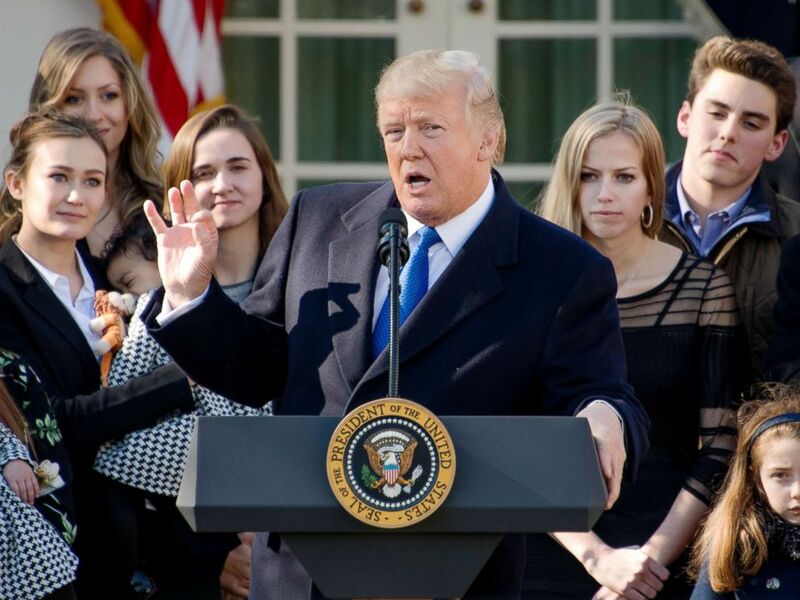 President Donald J. Trump addresses March for Life Participants and anti-abortion rights advocates from the Rose Garden of the White House, Jan. 19, 2018. There are 35 states that require that a woman receive counseling before an abortion is performed, according to the Guttmacher Institute, while 14 states require a woman to receive an ultrasound before being given an abortion, a move that the Guttmacher Institute calls "a veiled attempt to personify the fetus and dissuade a woman from obtaining an abortion." And there are more battles to come, including a ballot initiative that will be included in the November 2018 ballot in Alabama where voters are asked to decide whether or not to amend the state's constitution to support "the sanctity of unborn life and the rights of unborn children" and to not protect the right to abortion or require funding of abortions. The Guttmacher Institute states there were 401 state-level abortion restrictions enacted from 2011 through 2017. Jeanne Mancini, the president of the education and defense fund at the anti-abortion rights group March for Life, pointed to that data as well and cited various parental notification and consent laws, among others, as a victory. 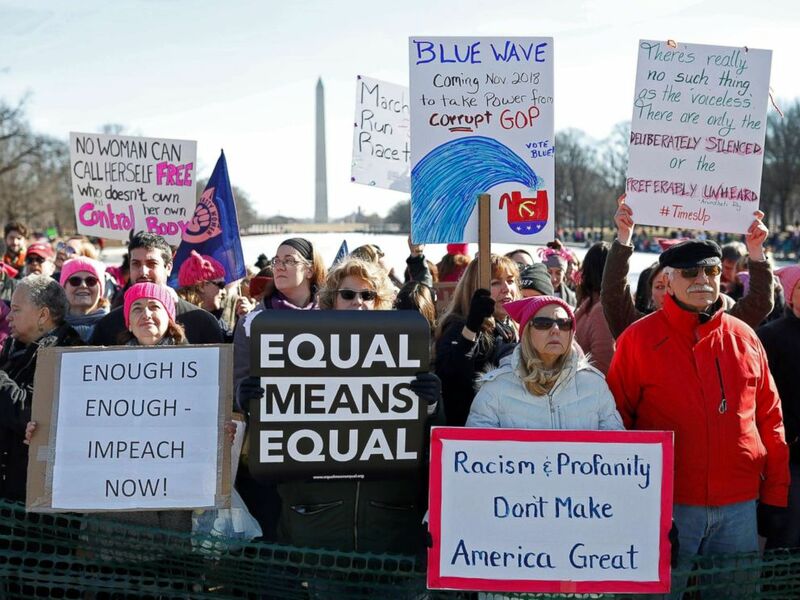 Danielle Wells, a Planned Parenthood for America spokesperson, said that their group was optimistic because of the grassroots activity they have seen in the past year, citing the turnout at both the 2017 and this year’s Women’s March. People participate in the second annual Women's March in Washington, D.C., Jan. 20, 2018. Of Planned Parenthood's current roster of about 11 million supporters, Wells said that 1.5 million of those joined within the last year. "That energy has translated into tangible gains and policies at the state level," Wells told ABC News. While Wells is excited about the support from the people at large, Mancini is optimistic about the support of one person in particular. She hopes to see more abortion-restricting legislation moving through during the Trump administration, citing how she feels President Donald Trump has kept "all" of his promises on the issue thus far. "In terms of public policy in defense of the unborn, he's been quite good and we have every expectation that he will continue to be so," Mancini said.